Wine tasting is full of anomalies and paradoxes. How can a liquid that has been aged in oak taste of cedarwood, for example? Yet cedarwood is a perfectly legitimate description for oaky young reds, especially wines made predominately or entirely from Cabernet Sauvignon. There’s no getting round the fact that new or one-year-old French barrels seem to impart a cedary aroma (nicer than it sounds) to certain wines. Mind you, cedarwood isn’t the only thing you’ll find in an oaked wine. Oak-derived tannins, cellulose and lignin produce a surprising array of tastes and flavours in the bottle: pencil shavings, roasted almonds, butterscotch, fresh bread, vanilla, cloves, coffee bean, plain chocolate, sawdust and coconut. (I’d better stop there…). These will vary from barrel to barrel depending on the ‘toast’ used by the individual cooper when he charred the inside of its staves, the origin of the oak and the amount of time it spent in contact with the wine. Overtly oaky wines have become much more common in the last two decades, largely because of the proliferation of ‘oak chips’ (cost-saving shavings, cheekily dubbed ‘Quercus fragmentus’ in Australia, dropped into a fermenting wine like a tea bag). This is a mixed blessing. All too often, what you end up with tastes like under-wined oak to me. The cedarwood is less overt in chipped wines than in those aged in French barrels. It’s also rare to find this flavour in American oak-matured wines, where vanilla and sawdust tend to predominate. 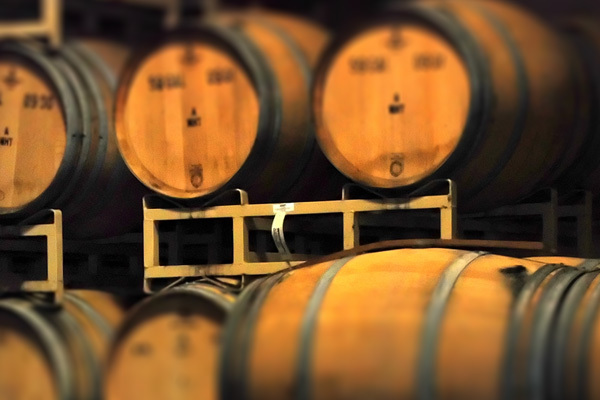 Ageing wine in barrels, as opposed to using chips, is fiddly, time-consuming and costly. A 12-month sojourn in the finest, French oak can add as much at £2 to a bottle’s shelf price. So why do winemakers bother? The answer is to add flavour, texture and (ideally) complexity to their wines, especially their reds, by extracting certain compounds from the oak and by allowing them to breathe through its pores. All the world’s best reds and many of its top whites are oak-aged. The relationship between oak and wine is complex. Used subtly, oak marries beautifully with wine, softening the tannins in young reds and adding weight to certain whites. Ideally oak – and, for that matter, cedarwood – should be one flavour among many, rather than a strident, overbearing presence. You should always be able to taste oak (especially if the average age of the barrels was fewer than six years old), but the wine should never leave you feeling as if you’ve been chewing a wardrobe. Let’s leave that to the termites.